Sorry to derail the derail, but is there any news on whether this bad boy is on sale yet? The Heretorks demand one for a Forgefiend! You guys seen this yet? No not the buggy, the hulking great green monstrocity top left! Lord Humongous. Just walk away. No one has to die. Just give me da juice. EDIT: Here's the full image. Take a gander at that bike on the right. Looks a little beefier than the normal Warbikes, and I'm fairly sure that wheel covering is new. Time for plastic Nob Bikers? 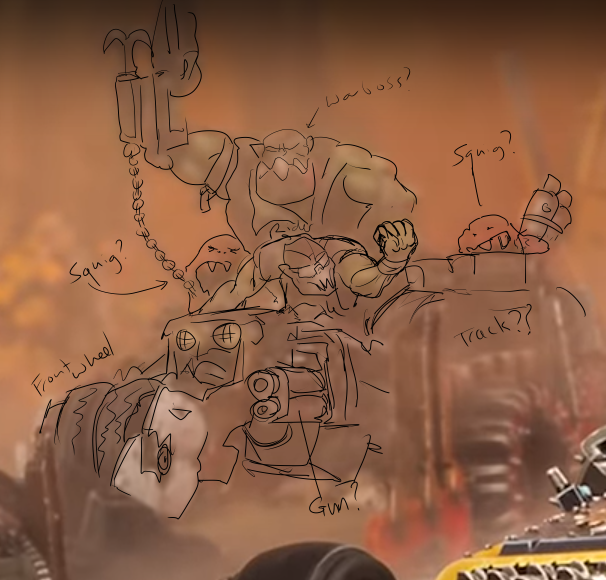 EDIT AGAIN: Oops, no, I was "reading" the wheel covering wrong (seeing the top spikes as negative space), that's probably a normal Warbike. Carry on! It looks like a trick, with two orks on it. 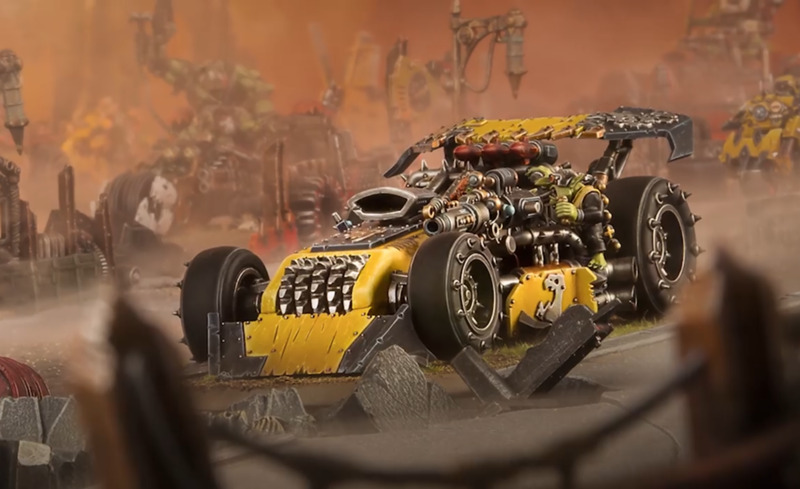 One ork driving, one giant beast of an ork in the back. Definitely getting that feel myself. I thought it war a warboss on bike. But the side one also seems like a meky kinda bike. Damn, that looks completely right to me. So friggin excited for this release! My only concern is how GW will package the new buggies et al., and how much they will charge. I'll definitely buy them, but my (proud) Scottish heritage may be an issue. P.S. That is one big (prime?) ork. P.P.S. My hat is off to whoever designed the new buggies. They are bitchin rides. Hear about the Scot who bent over to pick up a penny? He bruised the back of his neck. 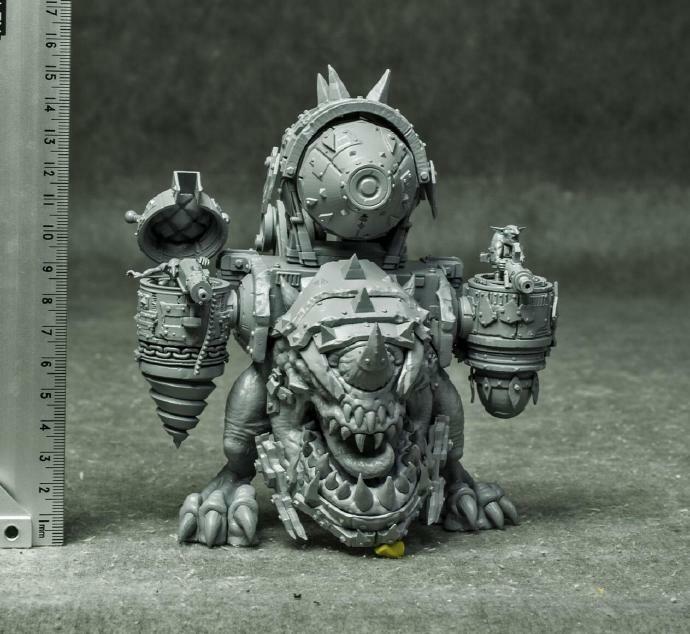 I don't think it is a Prime ork, I think it is just a warboss on a trike bike, maybe even a throw back to the old nobz bikes from 2nd edition and will probably come in the speed freaks box with the buggies.